Blacked-Out Look: It's the poster bike of the anti-chrome movement. You've got a black powder-coated 883cc engine with black rocker covers. Black on the throwback round air cleaner cover. Chopped fenders, to show off a little rubber. And black front forks with gators to add a little old-school nostalgia. Street Inspired Paint: We created paint jobs with colors that look right against the backdrop of the urban grid, and don't need a lot of maintenance. These are tough finishes as mean as the meanest street. Tuck and Roll Seat: A solo seat that combines modern comfort with an authentic “tuck and roll" design inspired by the early days of the bobber. 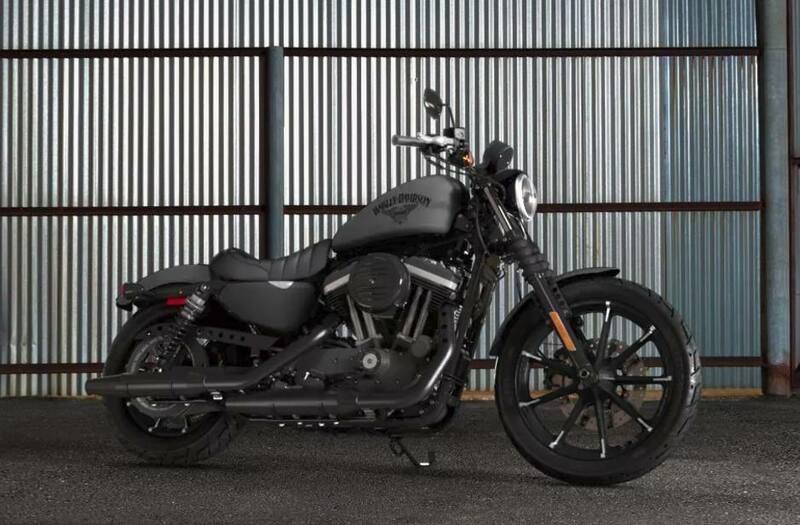 883cc Air-Cooled Evolution® Engine: Authentic Harley-Davidson style through and through, dripping with power. The rubber-mounted 883cc Evolution® engine runs hard and rides smooth for thousands of miles so you can just worry about taking in the freedom of boulevards and back streets. Seat Height, Unladen: 29.9 in. Oil Capacity (w/filter): 2.8 qt. Weight, As Shipped: 545 lb. Weight, In Running Order: 564 lb. Brakes, Caliper Type: Dual-piston front, Dual-piston rear deg.